Don't forget Fido this Christmas! Pamper him with this heated indoor/outdoor pet bed! 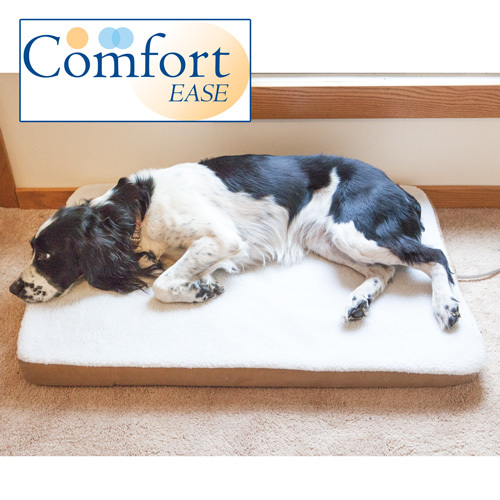 Perfect for dog houses, basements, kennels, garages or even at the foot of your bed, this pet bed pampers Fido with veterinarian- recommended therapeutic heat that's regulated between 99 & 103 degrees. And for added comfort, it has orthopedic foam padding and a waterproof design lets you use it indoors or out. Also features on/off heat control and washable cover with sherpa top. 35"x23"x2.5" design fits neatly in 24"x36" kennels. Comes with an AC adapter plus a 12V DC adapter for use in your vehicles. 6-month limited warranty.